Looking for comfortable accomodations with exceptional amenities? Personalized services? 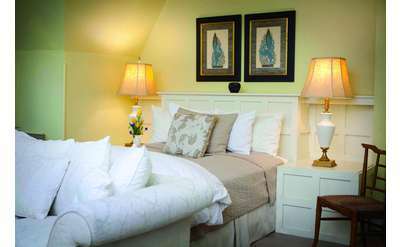 Albany's beautiful inns and B&Bs offer you a great place to relax and unwind, whether you are here on a business trip or a romantic weekend getaway. Browse the list of options in and near Albany, NY below, then book your stay to experience luxury and romance in the city! Oakcliff Bed and Breakfast is a waterfront Saratoga County establishment in historic Halfmoon, NY, only 15 minutes from downtown Saratoga, Troy, or Albany. We cater to our out-of-town guests with a first-class breakfast and 5-star business center! The historic Olde Judge Mansion in Troy features a perfect combination of antique elements and modern amenities. 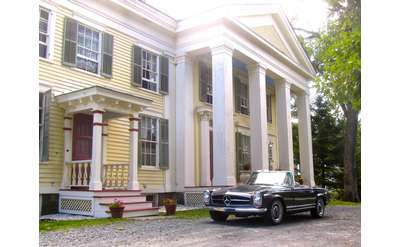 The B&B is located 2 miles from the center of Troy and less than 9 miles from Albany. A full breakfast and off-street parking are included in your stay at Troy's Gardner Farm Inn. Each of the five guest suites also includes its own private bathroom and comfortable furniture. The Red Cottage is located in a rural setting, but is just a short drive away from busier parts of the Capital Region. The inn offers a variety of services and amenities, and is surrounded by natural beauty in all four seasons. Looking for comfortable accommodations near everything the Capital Region has to offer? State Street Mansion is a pet- and child-friendly B&B located just steps away from the State Capital and Empire State Plaza.